Vertex Energy, Inc. (NASDAQ: VTNR) is a specialty refiner of alternative feedstocks and marketer of high-purity petroleum products. With its headquarters in Houston, Texas, Vertex is one of the largest processors of used motor oil in the U.S. and has processing capacity of over 115 million gallons annually with operations located in Houston and Port Arthur (TX), Marrero (LA), and Columbus (OH). Vertex also has a facility, Myrtle Grove, located on a 41 acre industrial complex along the Gulf Coast in Belle Chasse, LA, with existing hydroprocessing and plant infrastructure assets, that includes nine million gallons of storage. Vertex has implemented the most cost-effective strategy for building its feedstock supply by establishing a successful self-collection and aggregation system. The Company has built a reputation as a key supplier of Group II+ and Group III base oils to the lubricant manufacturing industry in North America. 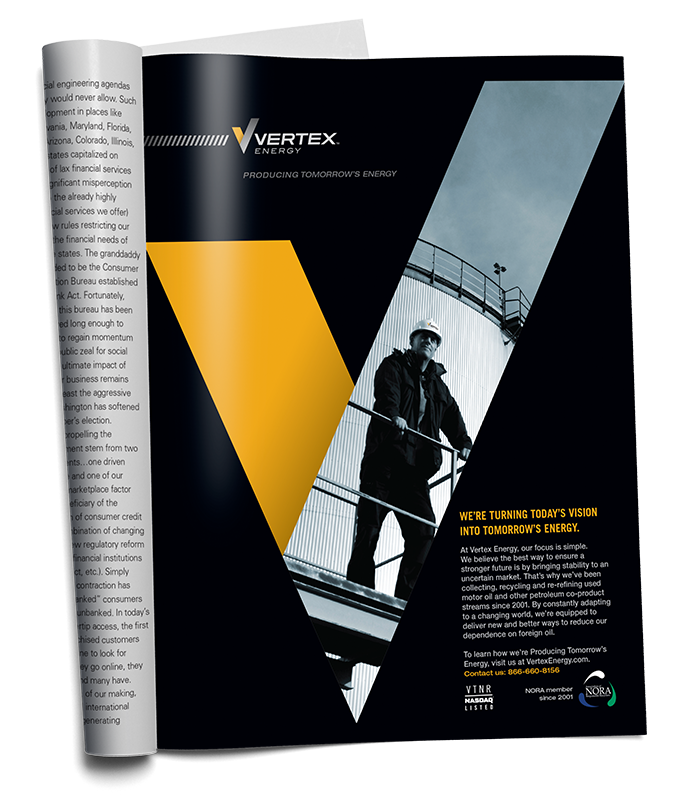 Vertex Energy's Black Oil Division is a leader in providing customers with used oil, also known as black oil, for re-refining, chemical processing and/or blending operations. Formed in 2004, our Refining & Marketing Division produces three distinct products from distressed hydrocarbon streams. Vertex Recovery, L.P. is a generator solutions company for the proper recycling and management of petroleum and chemical products.